The drama series Lights and Shadows is crowing the champion of ratings battle for the first time. The MBC Wednesday and Thursday drama series Lights and Shadows achieved its best rating since debut on the episode 16 broadcast on January 17th, 2012, ascending the throne of ratings champion for the first time. While the Brain that has been continued to hold the top ratings position was affected by the stopped broadcasting incident on January 16th, 2012, and closed its curtain with the result of 2nd position, leaving behind regret. According to AGB Nielson Media Research, MBC’s Lights and Shadows achieved the high rating of 17.6%, 1.5% higher than the rating of grand final episode of KBS’s Brain which was 16.1%, winning the top position in ratings ranking for the first time since started broadcasting. 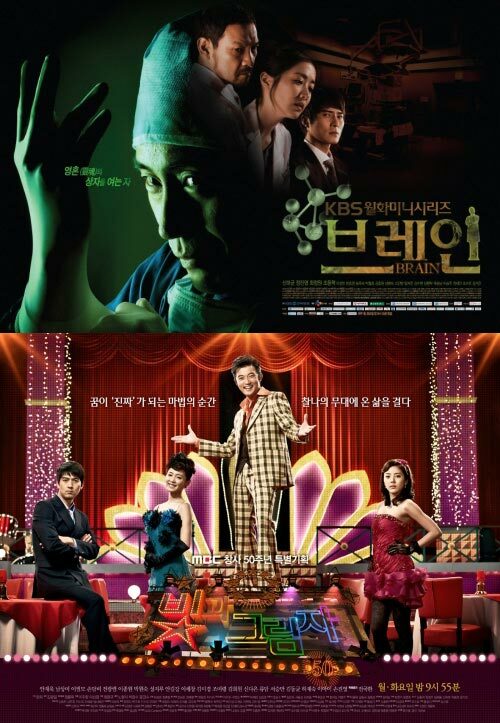 The ratings of Brain plummeted on the night of January 16th, 2012 due to the signal of KBS2 was stopped relayed by cable operators, although the cable operators have retransmitted the KBS2 TV programs on January 17th, but the ratings of Brain cannot recovers to normal level, and thus can only ushers the grand final episode regrettably with second best result. SBS’s Salaryman rated 10.6% on the night of January 17th, 2012, ranked bottom.